Additionally, new data also showed that lentils could reverse deteriorating blood vessel health. The researchers explained that the study, which was conducted on rats, proved that consuming the health-boosting food regularly can effectively prevent the increase in blood pressure which occurs as we grow older. Based on the findings, eating lentils can also reverse the changes that occur in blood vessels due to high blood pressure. The findings are a continuation of two earlier studies. 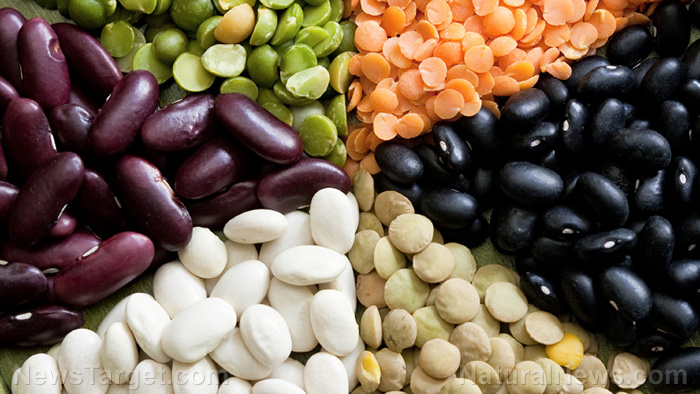 The first was a clinical trial that showed how eating legumes – particularly a combination of beans, chickpeas, lentils, and peas – could boost blood flow to the legs of patients diagnosed with peripheral artery disease. This condition is connected to coronary heart disease and cerebrovascular disease. Dr. Zahradka added that the most notable finding of the recent study illustrated how lentils could change the physical properties of blood vessels to make them resemble the vessels found in healthy animals. However, human studies are required to confirm these findings. Dr. Julianne Curran, Pulse Canada’s director of nutrition, scientific, and regulatory affairs, concluded that lentils could be part of a simple, cost-effective dietary strategy that can help address cardiovascular disease. Pulse Canada is the national association that represents the growers, processors, and traders of Canada’s pulse crops. In 2012, a study from the University of Toronto, led by Dr. David Jenkins, discovered that eating more pulses (e.g., beans, chickpeas, and lentils) helped lower the risk of heart disease by managing a patient’s blood sugar levels. Bananas – This fruit contains potassium, and fresh produce is a better source of potassium than supplements. Beets – Beets are full of nitric oxide that can help open the blood vessels and lower blood pressure. You can make juice from beets, or you can cook and eat the whole root. Berries – Blueberries are rich in natural compounds called flavonoids. These compounds can help prevent hypertension and lower blood pressure. Other sources of flavonoids include raspberries and strawberries. Dark chocolate – This healthy treat is linked to a lower risk for cardiovascular disease (CVD). Eat at least 100 grams of dark chocolate daily to help lower your risk of CVD. Garlic – Garlic can help minimize hypertension by increasing the amount of nitric oxide in the body. Herbs – Herbs are a healthy substitute for salt if you love eating flavorful dishes. Sources include basil, cinnamon, rosemary, and thyme. Olive oil – Olive oil is a healthy fat, and it is rich in polyphenols, the inflammation-fighting compounds that can help lower blood pressure. Additionally, this healthy fat is an excellent alternative to butter, canola oil, or commercial salad dressing. Pomegranates – According to a study, consuming a cup of pomegranate juice once a day for at least four weeks can help lower blood pressure. However, before you buy pomegranate juice check the packaging. Added sugars can negate the health benefits of pomegranate juice. Leafy greens – Leafy greens are another great source of potassium which helps the kidneys eliminate more sodium through urine. This then lowers your blood pressure. Sources include arugula, beet greens, collard greens, kale, romaine lettuce, spinach, Swiss chard, and turnip greens. You can read more articles about the health benefits of lentils and other natural remedies at Healing.news.